​Today is a bittersweet day. Today a very sweet, funny, caring, loving friend is dancing with the angels. Today my friend of 38+ yrs, Linda Marrie Cheveallier, has looked in the eyes of her Savior. Oh the memories!! Raising our daughters together; sharing joint custody of a friend’s 2 small kids while she attended boot camp; attending a kazillion church services; hours of prayer and small group meetings in my home; cooking; having parties; family get togethers; struggles and much more. Through our friendship, I became even closer to one of her sisters, Kayline. I can’t even begin to say how beyond thankful I am of that. Linda was big hearted and would do whatever she could to help anyone. Nothing was too small or large for her to contribute to. She didn’t let too much bother her and was often referred to as ”Scarlett O’Hara ” from Gone with the Wind, because everything could wait and be done tomorrow! Many, many years ago her next door neighbor had a garage sale. She knew I loved vintage leather suitcases and purchased one for me. Not only was it vintage, but her neighbor was the librarian from my elementary through junior high school days. 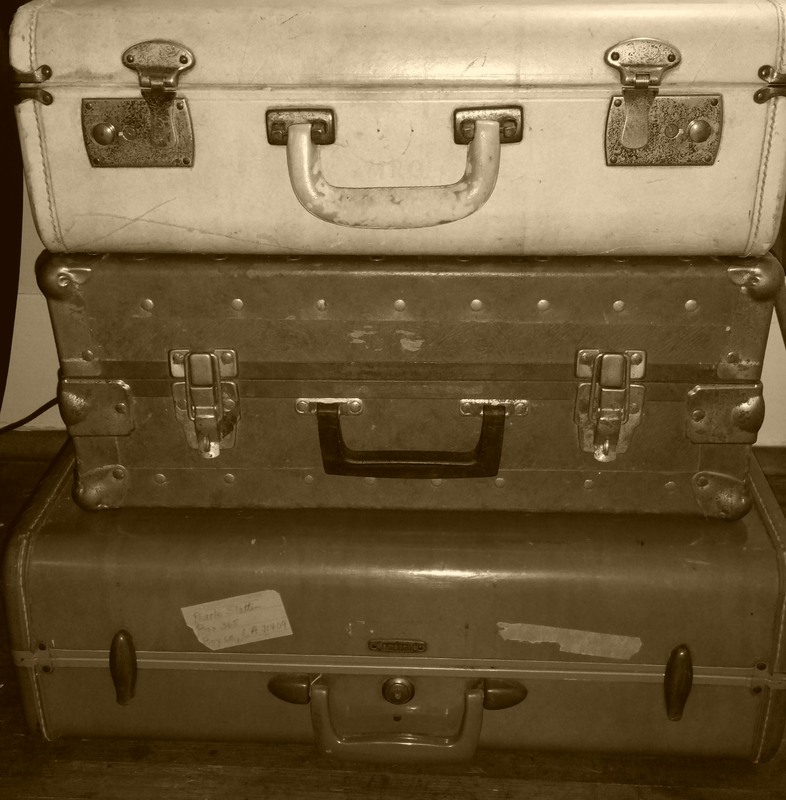 Through the years and what seems like a thousand moves, the suitcase was always moved with me. She was tremendously thoughtful. 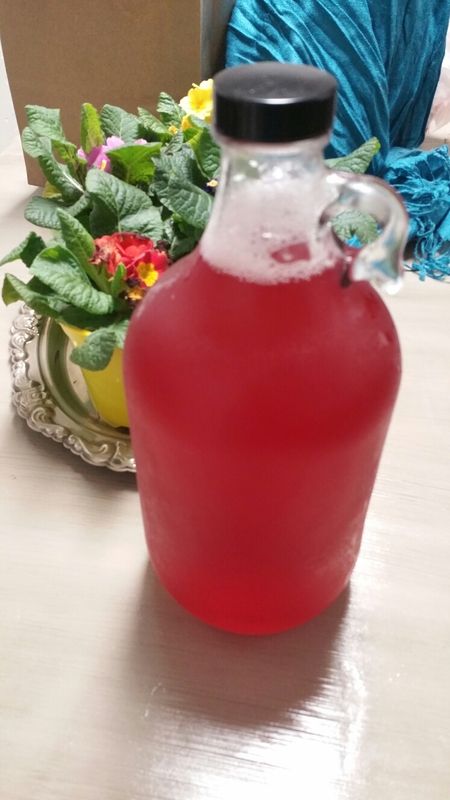 Years ago, during one of our girlie get togethers at our fav Mexican restaurant, El Reparo, we discussed peri-menopausal symptoms she was having. I begged her to have a thorough checkup and a hysterectomy if necessary. I know this is a controversial subject for some, but it changed my life, so I speak from experience. I can still remember the details like it was yesterday. Over time I’d inquire about how her symptoms were and what treatment she had chosen. I’m not certain if a pap smear had been done, but I know a hysterectomy was never an option. Years later she was diagnosed with advanced ovarian /abdominal cancer. Would a thorough checkup have discovered this? Would a hysterectomy performed years before have prevented this? We can never know for sure. Only God knows the length of our days. She fought valiantly through multiple surgeries, chemo, complications from diabetes, and more. Finally the doctors could do no more. Did we pray? Absolutely. Accepting that death is indeed an answer to prayer is a hard pill to swallow, but we have to believe His infinite mercy is compassion in the finest measure. Anytime I thought of her poor prognosis it caused me to just cry without seconds notice. This was completely out of character for me. During my nursing career I’ve experienced hundreds of deaths. I’ve prayed with family members and over patients for God to show His mercy. Many times, death was an answer to prayer as death was kind by ending earthly suffering and misery. Out of character because Heaven is always in my view. Often I’d prayed prayers of salvation with my patients sometimes moments before death. Once I joined forces with a friend praying for a man in ICU who had such a debilitating stroke that all he could do was blink his eyes in agreement to prayer. His daughters literally broke down in tears when I shared the news. They had been concerned for many, many years over the state of his salvation. Again, out of character because coping with death is second nature to me. 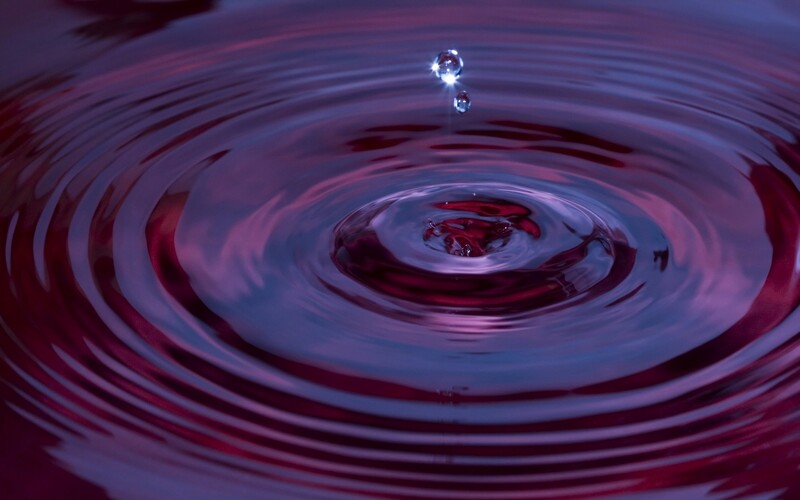 These crying spells continued for several, several weeks and one morning, while getting ready for work, I received a beautiful attitude adjustment. 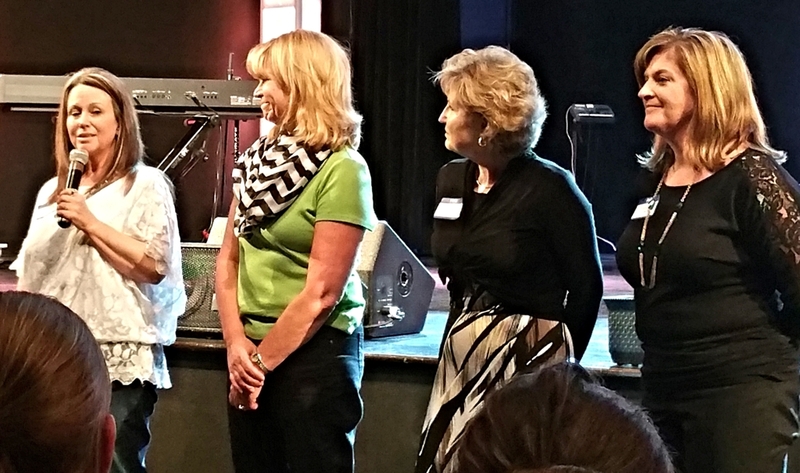 Through the tears and prayers, the precious Holy Spirit enlightened my eyes and heart to see Linda would be accomplishing everything we believed in. I know that seems very simplistic for someone who claims to keep Heaven in their sights. 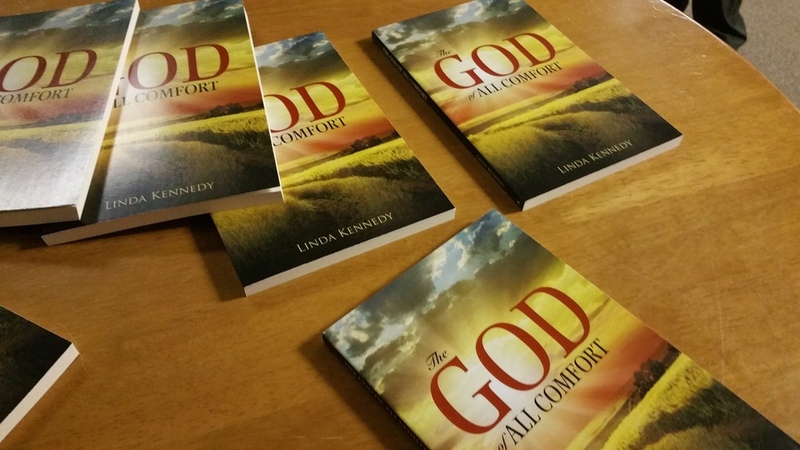 All those years of praying, believing that Heaven is our reward and greatest accomplishment was going to happen for Linda. I immediately repented for being selfish. Yes selfish. Selfish about losing a friend and even though we hadn’t seen each other for a few years, she was one of my dearest friends. Selfish about feeling forlorn that she’s the first of my ”sisters” that was leaving. Selfish and maybe even a gut-wrenching, fearful, reality check because we’re so close in age, my own death was iminent. I became thankful. Thankful that we had amazing times through the good, bad & nightmarishly ugly. Yea, some events require inventing a new word!!! 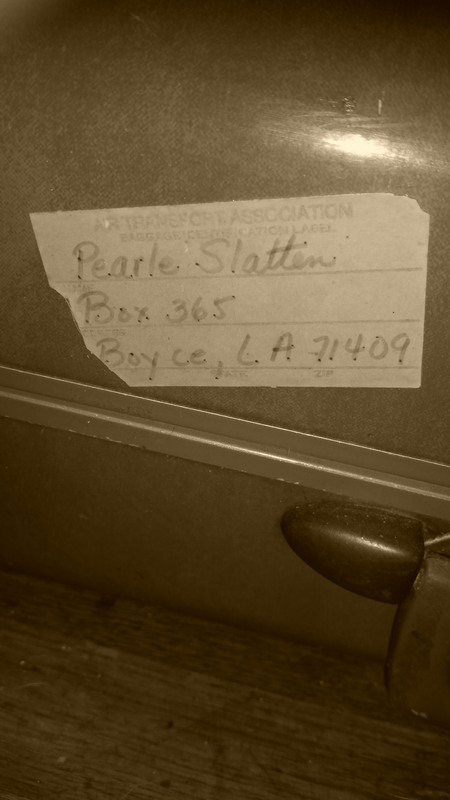 Thankful that through all the years, one constant remained…. seeing our Savior face to face was an ultimate desire. Thankful that my joyful friend was now laughing and finally enjoying immeasurable love, peace and eternal life. I pray grace, peace and comfort over Linda’s children, who recently lost their dad to cancer and sadly, a day or so after Linda’s death, also lost their step-mother. Praying for her husband; her family and most of all her sisters, Mary and Kayline. Our pack has lost a member, but I am convinced we will be together again. Now serves as my end table! Wow can you believe summer is almost over? Not sure of your location, but due to spring flooding, the first part of our summer could be considered mild for Texas! Never fear…..we have temps predicted to reach 108 just this week so it will be a regular scorcher. Season temps are fickle, but there’s a few things that can be counted on. As you know, my heart is always focused on single adults & how they navigate through their lives. Summertime, for singles, especially single parents, generally induce additional concerns & expenses. Sports, vacays/stacays, increased child care & more. When my son was younger, I remember all too well how much I had a love-hate relationship with summer. I made sure he was in sports which meant my usual 12-16 hr shifts at the hospital were reduced to 8. Weekend games & tournaments meant no OT. Then…..childcare was my dreaded expense. During the school year he attended a local BGCA after school program for a nominal cost. Thank goodness we had a local YMCA for summertime! The last, but certainly not least, concern was back to school clothes & supplies. Cutting hours & OT during the biggest budget busting time presented many opportunities to panic. I’m not one to panic, but it did take some juggling! It wasn’t until said son was grown did I learn frugal, budgeting technics. This past weekend he made a comment of how he honestly didn’t know how I survived & made it during those many years. This thought was provoked because he is now a parent & understands the often daily requirements of sustaining a household. Looking back, I have to give thanks & gratitude to Jehovah for being my all in all. Many times there were subtle reminders of how much He is looking out for my best interest or is in control. I could never blame Him for my poor choices or sticky situations because it simply wouldn’t be fair. There were several occasions where the answer I sought, was not the answer He provided. Also there were numerous instances when His word of advice left me sad or disappointed only to realize later how much wiser He is than me. Often, during my daily commute, I consider just how much He has spared me from over the years & am beyond thankful for His grace. In the midst of trials, tribs, tests or whatever you wish to label your misfortune, maybe you’re like me & tend to forget He is ever present, all knowing, & concerned for the smallest detail of what concerns us. It’s in these times when I tend to elevate or just spend more time solving problems on my own or place circumstances above the one who can obliterate them & bringing peace. In the busyness of life, I tend to lose focus. Daily scripture reading & morning prayer time is my true north! Within the past 6 mos there has been almost a constant system, for the lack of a better term, of how God reminds me He is listening, thinking of me & is very well aware of what is taking place on my timeline. Such happenings can be me thinking of something insignificant only to have that very thing transpire immediately. Perhaps I’ll think or dream of a person I haven’t thought of for years & within the same day hear from them or read something about them. I can entertain a question only to have the answer materialize. For instance……I completed a certain TV series & one day on my way to work pondered how the institution in the series actually began. While watching another series, that interrelates with the previous one, an episode explained the formation of the institution in question. This was a day or two apart. Completely insignificant details that cause me to wonder. Time & time again this has occurred & I refer it to my “thought thingy.” Instead of being weirded out by them, I embrace the happenings as a constant, continual reminder how important my thought life is & discern how much God is aware of my actions. It’s a reminder for me to “tow the line” or walk upright & right standing. 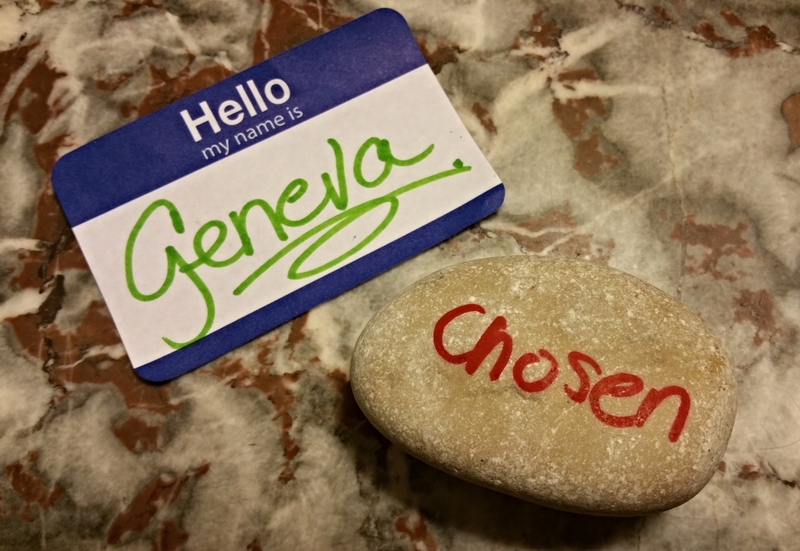 Don’t get me wrong….I fail often, but am becoming more consciously aware of God’s presence. I can read or believe scriptures every day, but one “thought thingy” quickly snaps my attention. 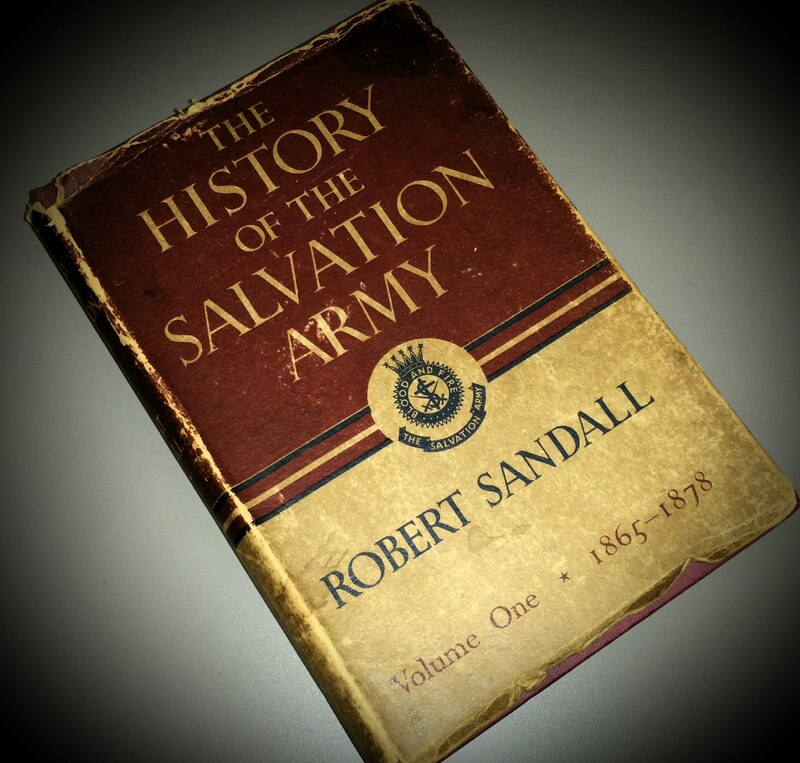 As you may have read in past posts, I work at the Divisional level of the Texas Salvation Army. There is a precious ritual practiced every Tuesday called devotions. Yes, there’s weekly donuts too, but…..I leave those for others! For the past nine years many people have spoken into my heart with their 20 minutes of history, personal stories, recently read books, & of course, the word of God. This weeks devos were certainly no exception. Not only was the main message phenomenal, but my point of focus came from the “popcorn testimony” of someone who had recently attended the International Boundless Convention in London, England. Along with the words he spoke about the convention, he presented an occurrence that immediately moved me to tears & lead me to write this blog. This guy, we’ll call him “Churchill,” along with another co-worker, are cousins who grew up in the small town of Bedlington on the outskirts of London. After returning from the Boundless Convention, another one of Churchill’s department co-workers presented him with an antique book. 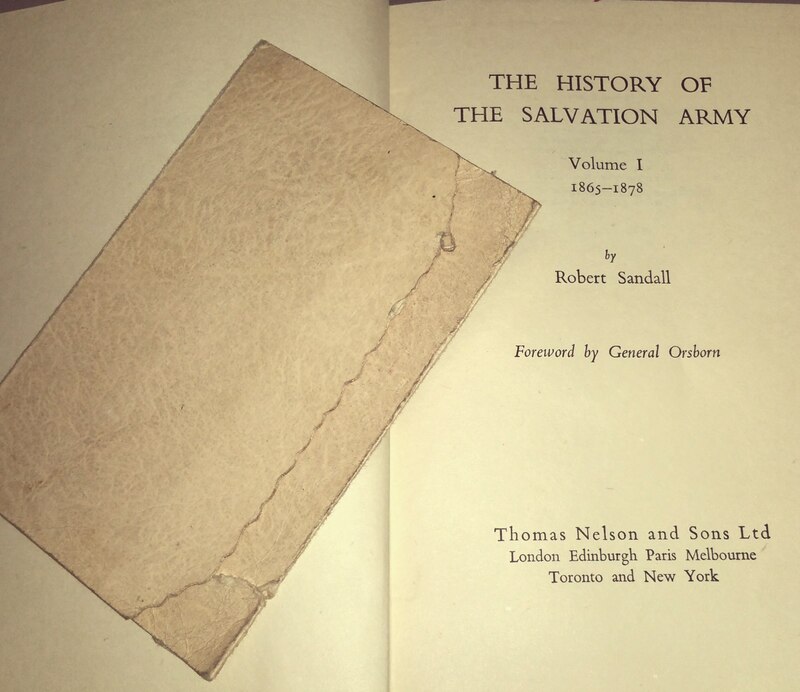 This co-workers wife, whose sister happens to be one of our Divisional Salvation Army officers, had noticed the book at a yard sale, I think, & picked it up. 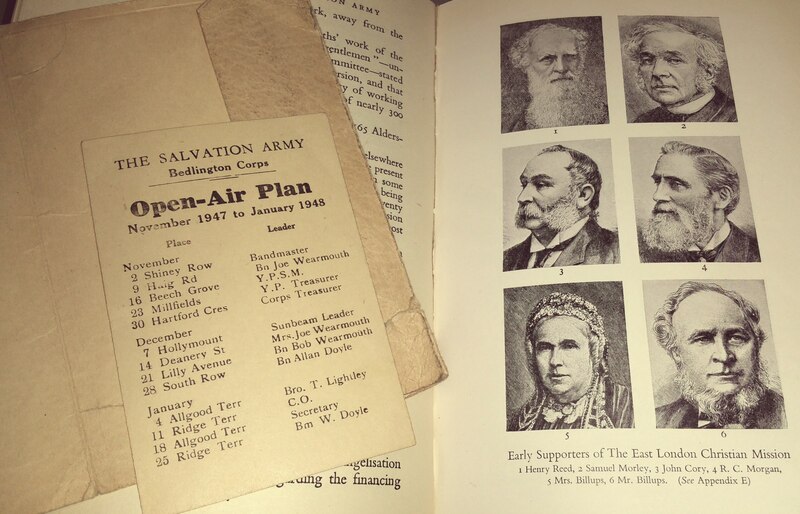 The book was Volume One covering The Salvation Army history from 1865-1878 written 80 years after William Booth began to preach the gospel. Within the book was a tattered envelope. Within the envelope was a small card, referred to as the Open-Air Plan. 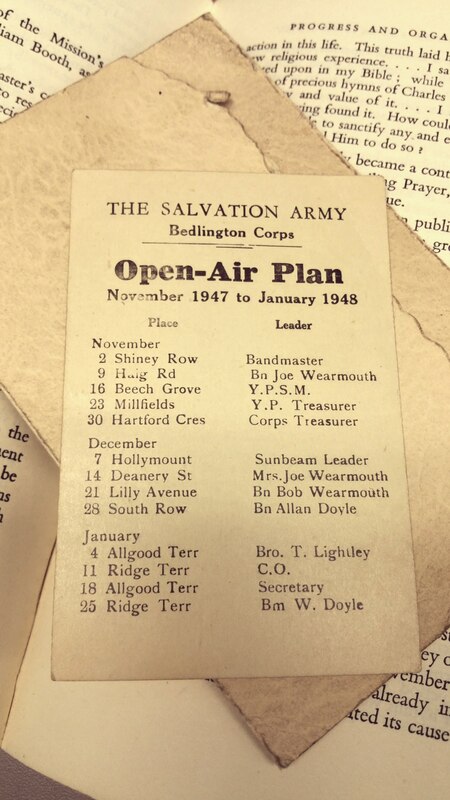 The card listed streets of where The Salvation Army Corps Band would be playing & who the leader was. The same Corps where the cousins attended as youth & played in the band. This was strictly an internal schedule which probably only those band members would’ve received. The dates were November 1947-January 1948. On January 4, 1948 the leader listed is the grandfather or great-grandfather of the recipient of the antique, yard sale book. Churchill is trying to find out which one it was because both of them went by the same name. Think about it………Bedlington, England 1948 to Fort Worth, Texas USA 2015. 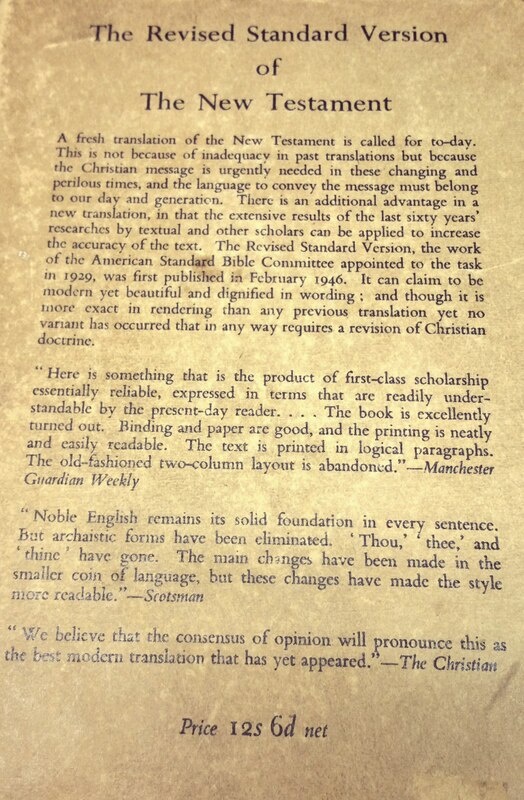 An antique book. Family. Hometown Corps. Co-worker. I’m not sure what this means to you, but I was immediately reminded of just how mindful & mighty Go d truly is. Who else could have orchestrated such an occurrence? He moves through space & time because He can. He created it! I asked Churchill what he thought this meant. He was contemplating how this book could have traveled countries apart to land here in this dispensation of time. Who migrated here & brought it with them? Those are very logical questions that would be way cool to find out! 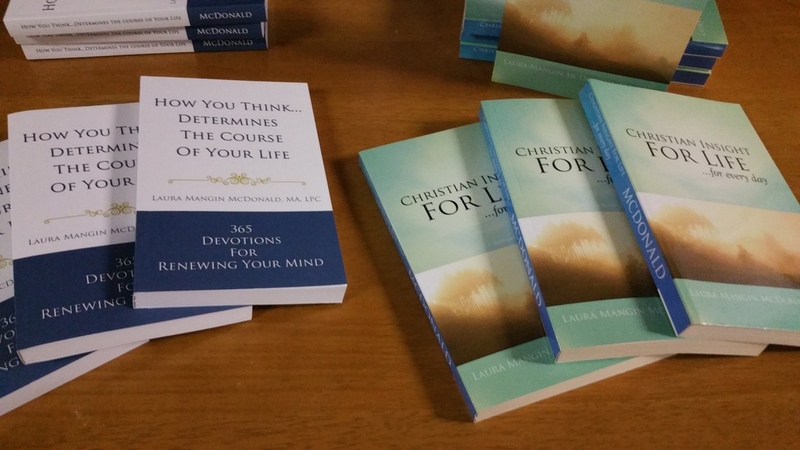 My primary question was, “Is there anything significant in your life you are praying for? Or just maybe there’s something you’re believing God for an answer to & this confirms God is truly listening?” Churchill replied that he hadn’t even thought along their lines. You can tell I’m totally blown away with this divine connection! I wonder….what “plan” God is guiding Churchill toward as the leader?? He has a very sweet, beautiful family & I can’t wait to find out! I even appreciate how they discussed the necessity of having the Revised Standard Version of the New Testament to b e more relateable. Talk about forward thinking! Through this happenstance, I want to encourage you how scriptures recount God has numbered the hairs on our heads(yes, He even knows if you’re bald! ), numbers of our days, thinks of us as the apple of His eye, He even bottles our tears & keeps a book of remembrance for every time we speak about Him. Jesus can never forget us as our name carved in His hands. I’m sure this would cause controversy, but it seems that’s the original tattoo! Lighten up! Just my thoughts here! Whatever you’re facing, regardless of your relationship type, please understand you’re not facing it alone. God genuinely knows where you are & more importantly, He is no respecter of persons. After the book incident, I’m inspired & convinced, more than ever, He longs for us to have conversation & sweet communion with Him. Again, He is not the author or instigator of bad choices, but He absolutely can help guide us in making the right ones. We need to listen to His voice, thought thingy’s, or unexplainable instances only He can devise. If we quieten our busyness long enough, I’m sure more important things than a TV series question will be revealed. Preaching to myself & duly noted! One of my friends, lovingly known as The Goddess, posted this & I wanted to share. It is simple when you think of it, yet very profound. There are seeds of greatness in all of us. The choice of what we do with those seeds has been & always will be up to us alone. The caterpillar lives its entire life span instinctively knowing it will soon become a butterfly. This metamorphosis dictates every decision the caterpillar makes. 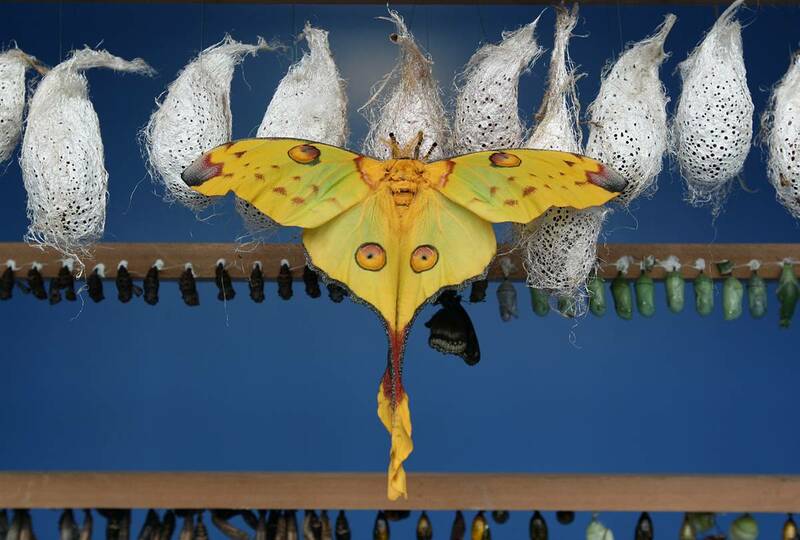 From each morsel of food it eats to where it will finally attach its chrysalis. Could we, perhaps, determine the passion that stirs our soul being worthy of such pursuit? I’ve come to realize that there is no “becoming”. 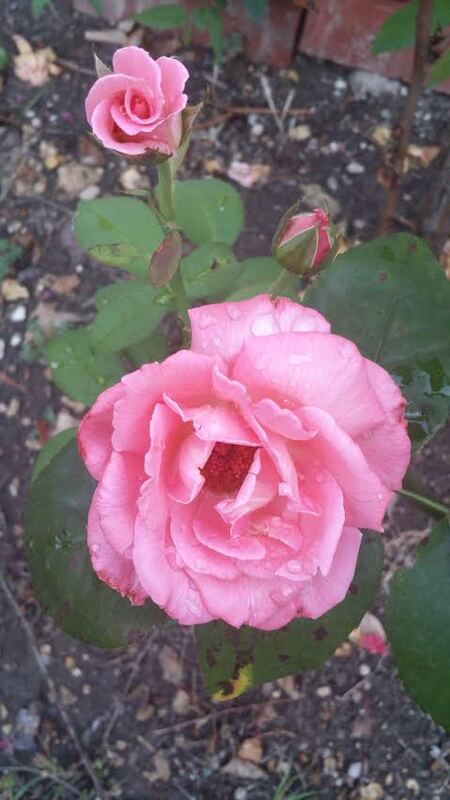 A bud doesn’t “become” a rose. It already IS a rose. What you can see is the result of the journey, so far. Just as an acorn holds an entire forest within it, you have within you all the greatness you’ve been seeking. The decision for each of us is what to do with our greatness. Let it ride, or let it rise? What you see will be the result of the journey, so far. *The “so far” bit is key.